Lions? Check. Tigers? Check? The other thing? Check. The collect-'em-all zoo simulation Zoo Tycoon, due for release on Xbox One on November 22nd, has a lot of animals. Not a "grains of sand in the Sahara" or "number of times I've dropped my keys in the toilet" kind of numerous, but enough to get excited about. A complete list of all 101 animals in the game has just been released, and yes, it's got sloths. Can't think of 101 animals you'd like to put in a zoo? There aren't 101 unique species, as that might get a little... weird (hamsters in a zoo?). 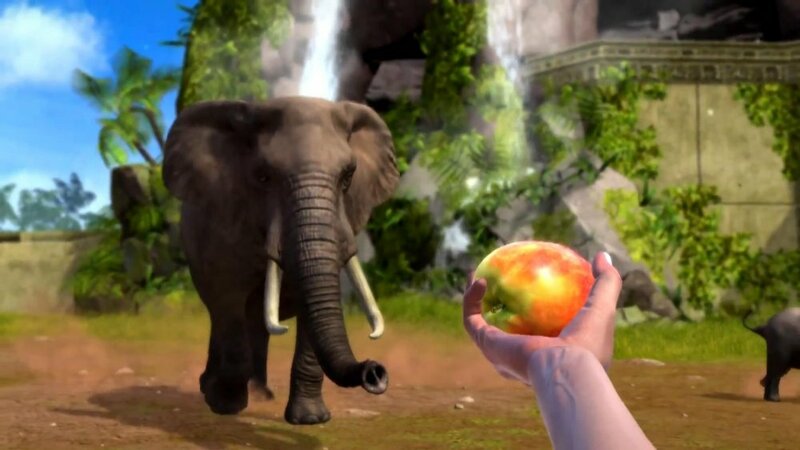 Instead, Zoo Tycoon incorporates sub-species into the mix, providing half a dozen different types of chimps, elephants and lions, and a whopping 13 varieties of bear. The full list below details everything, but like we said before, still no penguins. Two modes of play form the basic structure of Zoo Tycoon: planning/building, and third person exploring. The former gives you a top down view of your zoo with options to add attractions, enhance existing attractions, and look at the day to day running of your park. When you're satisfied with how things look, put on your dung-proof shoes and walk around to enjoy the sights you helped create. Co-op in Zoo Tycoon allows four players to build and manage the zoo at once, storing all of the information in the cloud so people can get some work done without getting the whole team together. There's even a challenge mode for co-op that gives players specific tasks to complete. Look for Zoo Tycoon with its delicious four player online co-op on November 22nd.